During the holidays my family gets to do the HOLIDAY HOP – meaning we spend most of it traveling from one family’s home to another to celebrate Christmas. Since we are either in commute or opening gifts, there’s not a lot of spare time for me to cook up delicious favorites or even help create dinner with my family members at their homes. However, I don’t want to come empty handed, either. Easy to make, delicious to eat, there’s nothing better to freeze, quick to cook and good to travel than lasagna. Depending on my schedule I can plan to make it well in advance, freeze and then take out to bring where ever we are going so we are bringing some joy to the table! 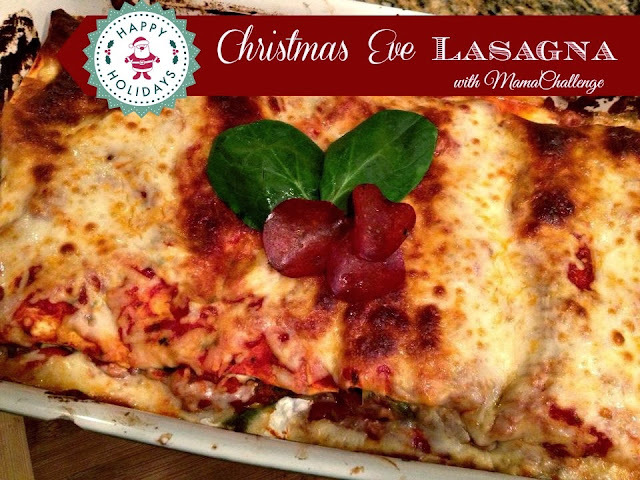 While you can enjoy Christmas Eve lasagna any day of the year, since the “main event” is normally on Christmas Day, we try to make things easy for everyone on Christmas Eve with a little taste of Italy. We serve lasagna, open up a bag of salad and throw a few loaves of garlic bread in the oven for a delicious meal that everyone loves. While I consider lasagna to be easy to make, depending on your number of savory ingredients like a red sauce, pasta and my favorite, cheese, can take some time. 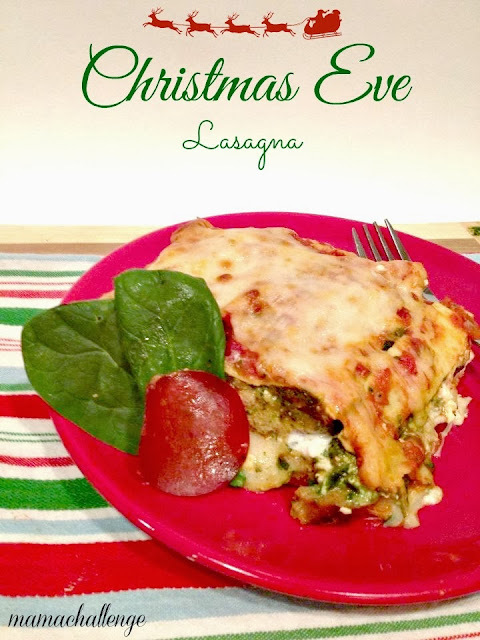 Everyone in my family has a different spin on what makes the perfect lasagna, so in this recipe, I put them all together to create our Christmas Eve Lasagna. Since it takes more than an hour to set the ingredients up for layering the lasagna, I take a shortcut with Barilla’s All-Natural Marinara sauce and Barilla Oven-Ready Lasagne noodles (I get mine at Tom Thumb/Safeway stores). One of the best parts about lasagna is its versatility. You really can customize it with any ingredients you want to make it your own. And with the help of Barilla All-Natural Marinara sauce and Barilla Oven-Ready Lasagne noodles to cut down on the time of preparation, you can personalize your lasagna to suit your family’s preferences and diet needs. Just check out Barilla’s “The Art of Lasagna” for more recipes to inspire you to create new and exciting ways to enjoy lasagna! 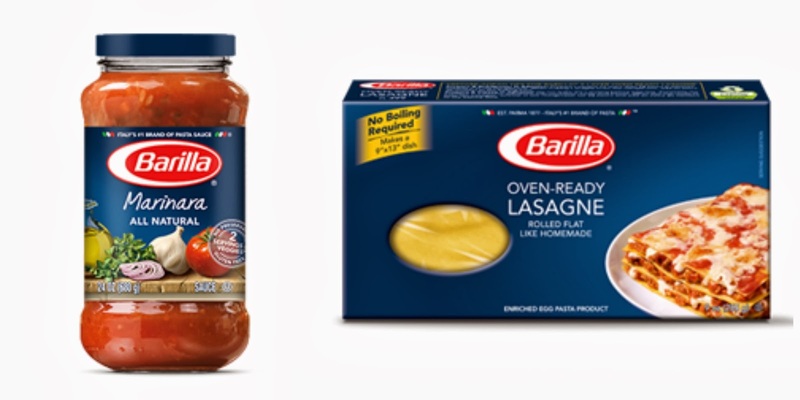 And right now, you can get $1 off the purchase of ONE (1) box of Barilla® Lasagne and ONE (1) Barilla® Sauce at your local Tom Thumb/Safeway store! To make my boys happy when I make Christmas Eve Lasagna, I actually use three different meats with Pepperoni, Italian Sausage and Turkey Meatballs. Next taking a hint from Christmas’ color scheme, I created a “pesto” with spinach and sun-tried tomatoes, which also adds a little helping of veggies to the dish. Then to ensure that the lasagna doesn’t get dry from the freezer, the car, to the oven and to the table, I use cottage cheese (shhh!) in place of the ricotta! Make building your lasagna a snap but preparing all the layers in advance. In a large bowl, tear bread into pieces and 1/4 cup of milk mixed together until it turns to a paste. Then add turkey meat, onions and seasonings and mix with your hands until it dry enough to form into 1/2 inch – 1 inch balls, but not so dry it doesn’t have any moisture. 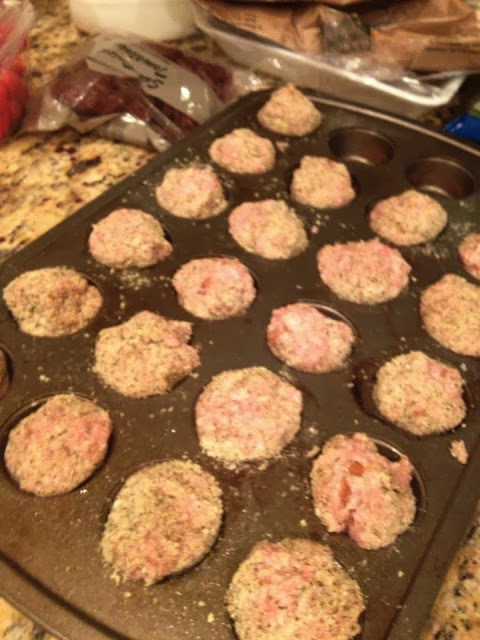 On a separate plate, roll each ball in parmesan cheese and bread crumb mixture. 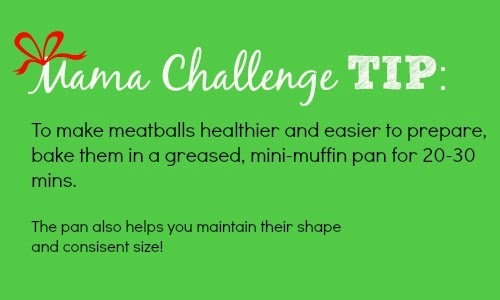 Place meatballs in a greased mini muffin pan for 30 minutes until browned. Once cooled, slice into halves. 2. 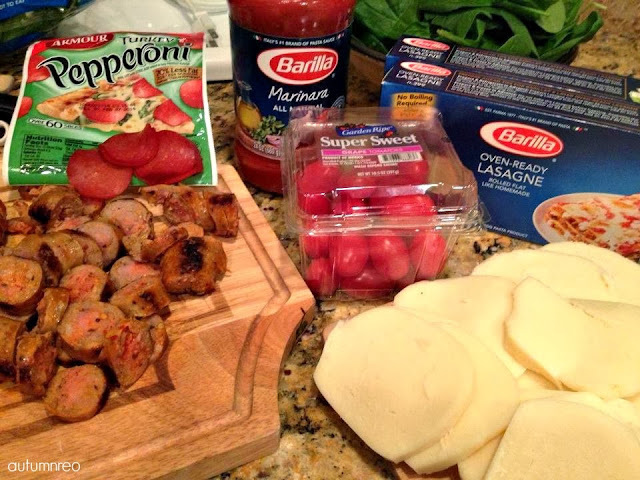 In a skillet, cook the Italian sausages (in their casings) until they are browned on all sizes. Allow them to cool and then slice them until into 1/4-1/2 inch circles. 4. 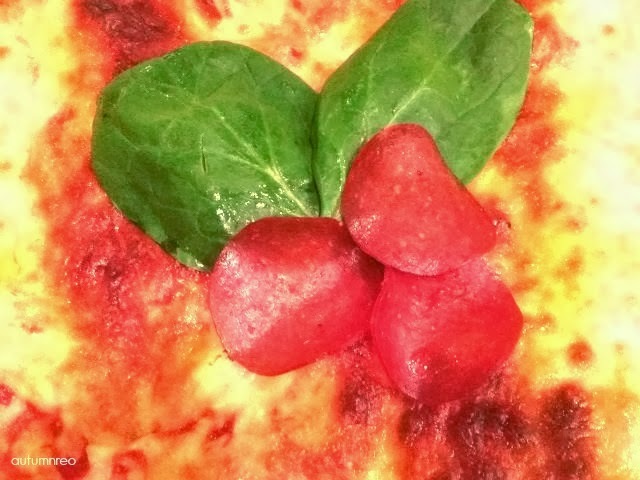 For cottage cheese layer, mix cottage cheese with parmesan cheese until a paste. 6. Spray a 9 x 13 baking dish with non-stick cooking spray. 7. 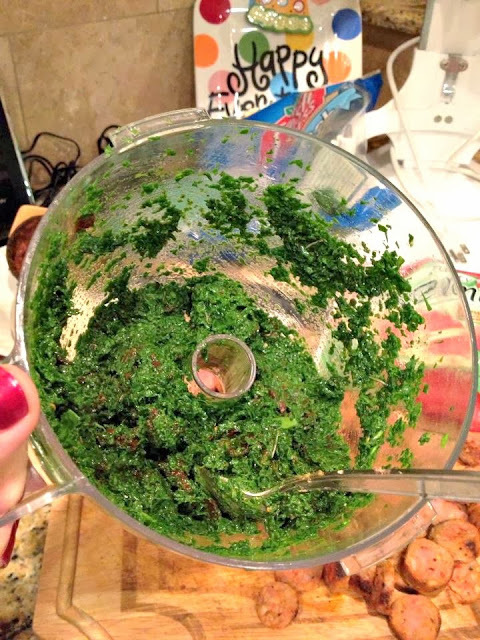 For the bottom layer, pour 1/2 the sauce into the pan and spread evenly. 8. Top sauce with 3 sheets of Oven-Ready Lasagne. (It’s ok if it doesn’t cover the whole pan, it will expand while cooking.) Spread cottage cheese mixture on top of noodles. Add sliced Italian sausage. 10. Cover layer with three more sheets of Oven-Ready Lasagne. Then add pepperoni slices on top until covered. Add remaining sauce and spread over pepperonis. 12. Cover pan with foil and place in the oven for 25 minutes. Then remove foil and continue to cook for 5-10 minutes until gold and bubly. 13. Let rest for 10-15 minutes before serving! 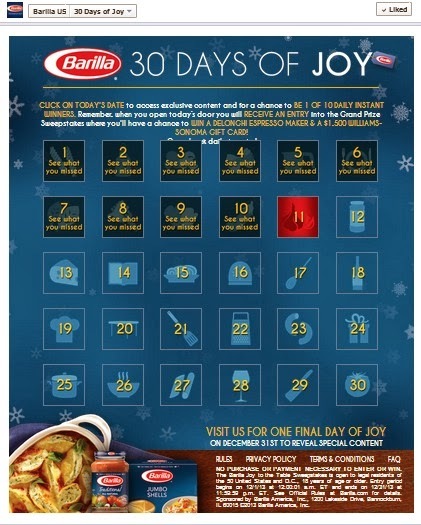 Barilla continues to bring joy to the table this month with their “30 Days of Joy” contest on Facebook. Each day you can discover tips, new recipes and have a chance to win amazing prizes like an espresso machine or a $1,500 gift card to Williams-Sonoma. You can enter everyday for the rest of the month, so make sure to set a reminder to head over to their Facebook daily. No matter what type of lasagna you make this Christmas or any day of the week, bring Joy to the Table with Barilla. This looks amazing! We love lasagna but I hadn’t thought to make it for Christmas – I might do that now, though – and then we could have leftovers on Christmas, yum! This looks so yummy — I love the idea of serving it on Christmas Eve! Oh my gosh, that looks soo good! My daughter’s favorite meal is lasagna, we may have to try your recipe soon! My family loves lasagna! We do the Holiday Hop too but always end up at my Dad’s for dinner.